Some Verizon customers who reside in New York, signed up for the carrier's $10 a day Travel Pass service. These consumers now claim that not only didn't they get billed at the pricing they signed up for, they were billed for hundreds of dollars in calls and texts that they never sent. Under Big Red's international travel plan, paying $10 a day gives customers the ability to carry their domestic Verizon talk, text and data allowances into any of 100 countries where the plan is valid. Brooklyn Assemblyman Dov Hikind recently signed up with the plan for a trip he made to Israel. When his Verizon bill arrived, Hikind was stunned. While he was charged the $10 per day as expected, Hifkind was also billed for the use of 141 international minutes, and approximately 40MB of international data for texts from Jordan. After speaking to Verizon he was able to get the bill reduced. Another Verizon customer, Refoel Silberberg from Monsey, received a bill from Verizon for $999.61 after returning home from a one month trip to Israel. Roaming fees in Jordan made up more than half the bill. Silberberg, who had also signed up for the $10 a day Travel Pass service, ended up paying 30% of the roaming charges that Verizon billed him. He said that Verizon told him that when you get too close to a bordering country's cell towers, in this case from Jordan, the calls are considered to have taken place in that country and there is nothing that Verizon can do about it. Jordan is not one of the countries covered by Verizon's Travel Pass service. Sarah Moskowitz, also from Brooklyn, was billed $500 from Verizon despite signing up for the Travel Pass. While in Israel, Moskowitz was charged for calls to Saudi Arabia and Jordan. 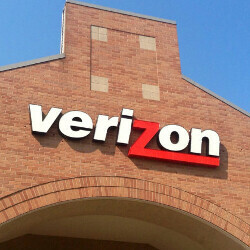 Verizon threatened to send the bill to collections. Only because Assemblyman Hikind intervened, the carrier reduced the amount of the bill. The Assemblyman wants a probe of Big Red's billing practices in these matters. Let me first reassure you that there is no widespread billing issue related to our TravelPass service. When a device loses signal from the mobile network it is roaming on, it will scan for a new network to attach to. The search for a new signal doesn’t consider a country's borders. So, if a customer is traveling along the border of two countries, depending on the location of the cell sites, it is possible their wireless device would connect to the neighboring country's network - because that signal is the strongest. And if that country's wireless network is not included in TravelPass, international roaming rates would apply. That in mind, we have safeguards in place to ensure our customers are not surprised when this happens. For instance, the first time a customer connects to a new international network, we send them a text message with that country's name and billing rates. To further protect our customers from unexpected charges, in March, we introduced a feature that requires customers to respond and opt in to use data not included in their TravelPass plan. We will continue to look for opportunities to further educate our customers on important things to know while using our TravelPass service. We appreciate the opportunity to work with New York State Assemblyman Dov Hikind on this matter. We encourage any customers with billing questions on TravelPass,to give our customer care team a call at 800-922-0204. "These consumers now claim that not only aren't didn't they get billed at the pricing they signed up for..." Wut? My head hurt a little trying to understand that. If Verizon states that it offers the service in a country, they have to honor it. If there are technical issues that is Verizon's problem. They should take the country off the list. But people that pay $10/day for this cheap plan got what they paid for. x1/10th for Big Red's greed. I'm pretty sure the article said that the customers were alerted of the rates of the network they were connected to, and then later on given the option to opt in if they accepted them. What do you expect them to do about towers in Israel and Jordan?